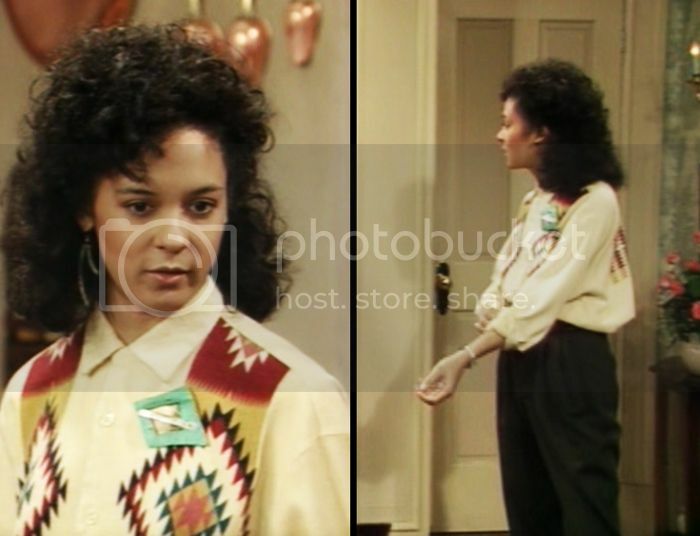 Sondra huxtable, often the forgotten one. 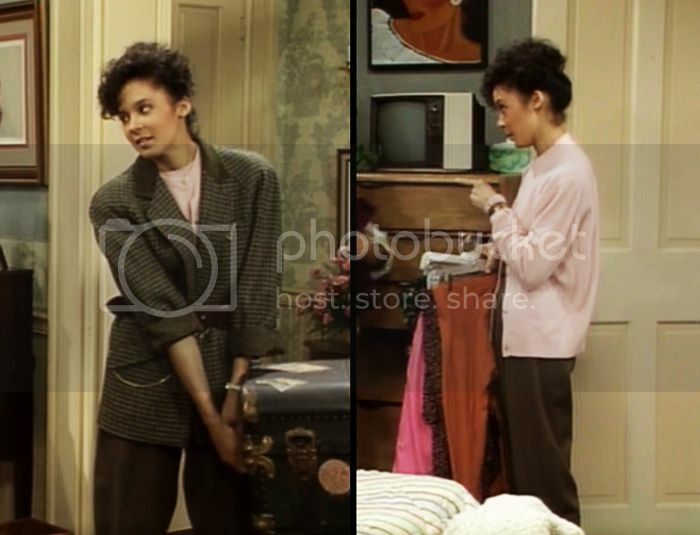 Brought in a few episodes after the pilot as a new character in the Cosby Show. Fresh faced Sabrina LeBeauf played Princeton Law Student, Sondra, with such big sister ease. I always wished she was my big sister in real life. A girl I could admire, and a cute boyfriend to boot! Sondra and Alvin remind me so much of me and David that it's ridiculous! It wasn't until recently that I started to notice her style. Sure, there are some hits and misses, but if she was my big sister who went off to college, I would definitely raid her closet while she was out! (With more chambray shirts than a Madewell secret sale!) 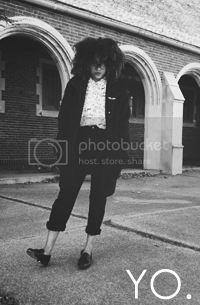 Sensible, chic, and so Ivy League. You know she would have totally been going to Vampire Weekend concerts when she came home to Brooklyn during her semester breaks. Her look is Madewell meets American Apparel, what's not to love? And her hair is also pretty amazing, I can see Chloe Sevigny shivering in jealousy. 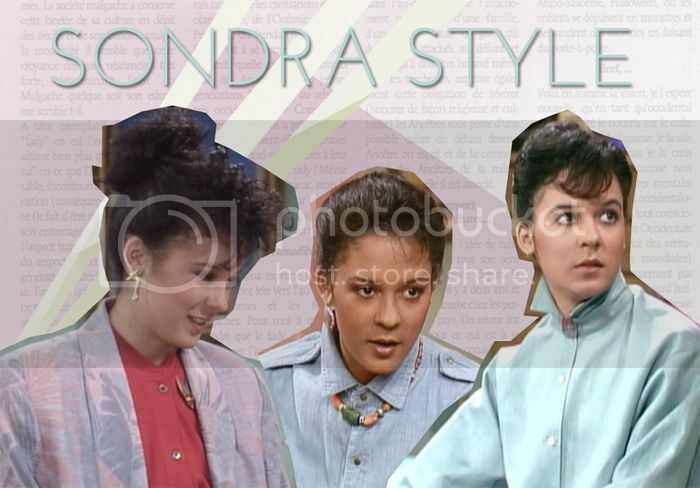 I just love Sondra's style. All about the high waist! Ahahaha. You guys really are twins - sartorially speaking. As a fellow oldest child I totally related to Sondra and couldn't wait to get to college and have an Alvin of my own. Now I just envy her perfectly oversized sweaters and blazers.